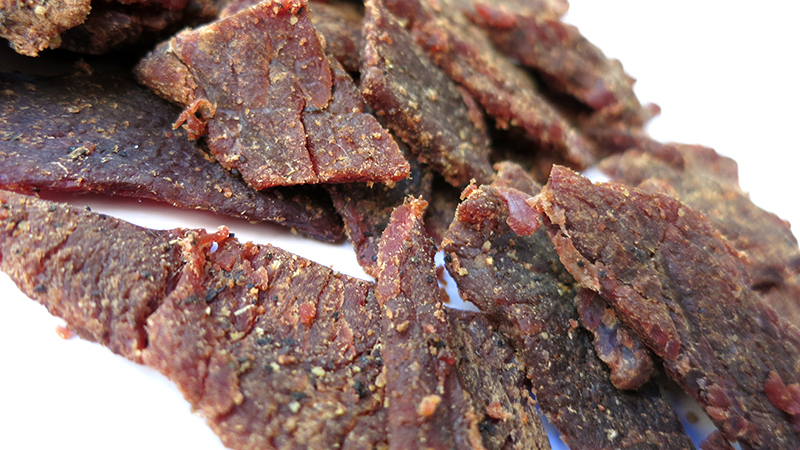 This Original variety is made with organic Worcestershire sauce, soy sauce and brown sugar, and is meant to be their interpretation of classic jerky. Matt claims it's made from classic top round cut of beef and gives off a smoky flavor. The first flavor that hits my palate is a light sweet and salty. After several seconds, I can pick up a saucy component, more like a watered-down soy sauce. The chewing brings on more of that soy sauce flavor, while the saltiness increases a bit. There's also a light black pepper flavor in the background. Considering the company claims this "Original" to be their interpretation of classic jerky, it definitely fits the billing. It has a flavor that sits very much in the ballpark with many other brands I've tried. There's that light initial sweet, a light, watered down soy sauce, and touches of seasonings, namely black pepper. The smoky flavor that Matt described is there, but is faint. You wouldn't really notice it unless you looked for it and knew what to look for. 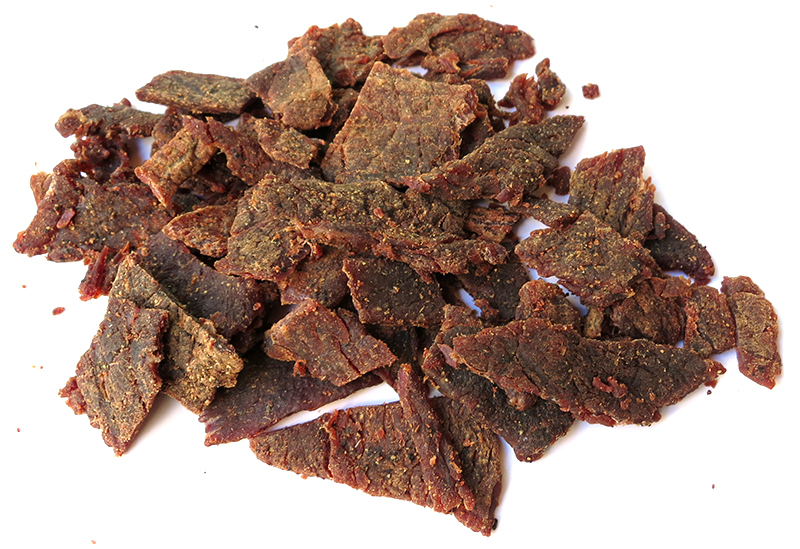 Overall, the dominant flavor in this jerky is that light, watered down soy sauce, and then touches of black pepper seasoning, and a light sweet. The meat consistency seems to be right in the ballpark with many other brands as well. For the most part, it's very meaty with minimal fat. It's largely tender, though a smaller percentage of pieces seemed to vary from average to tough. It's largely dry, though some pieces felt semi-moist. It tends to chew with a pasty, mushy texture, though sometimes actually feeling meaty. 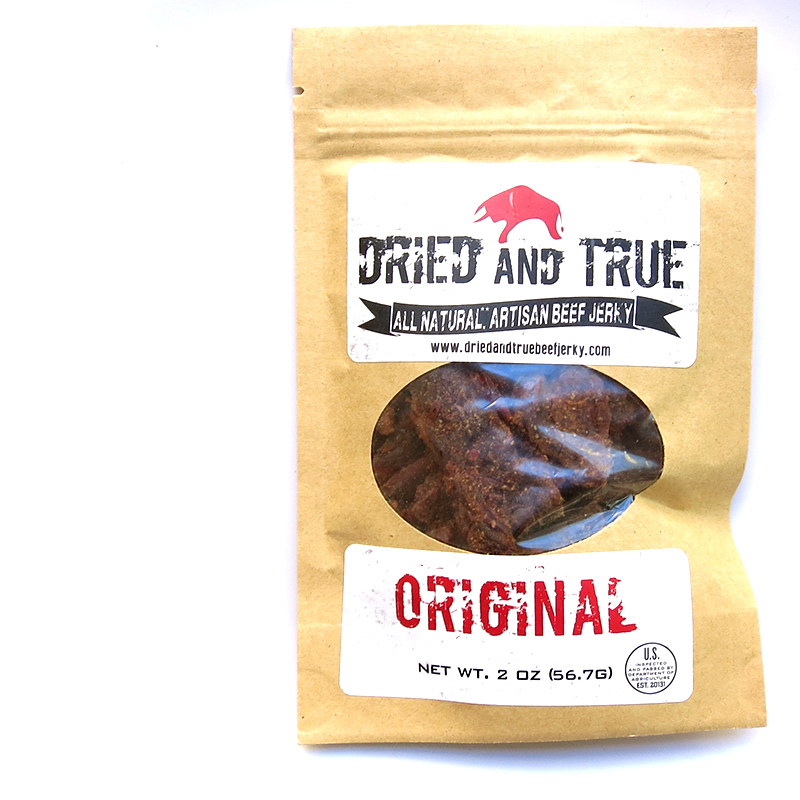 It's far from the steak-like chewing that I found when I reviewed Dried and True a couple of years ago. This Original beef jerky from Dried and True definitely gives off a flavor much like other brands of Original beef jerky I've reviewed. It doesn't intrigue me or inspire me, and I understand it's meant to be their interpretation of classic jerky. It does generate some snackability, however. I think the meat consistency has changed a lot over the years since I first reviewed Dried and True. This doesn't really feel like meat, and is far from the steak-like texture I found before.